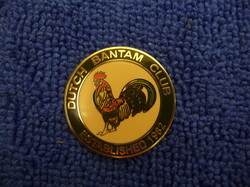 Dutch Bantam Club Embroidered Cloth Badge, perfect for your judging/stewards coat. 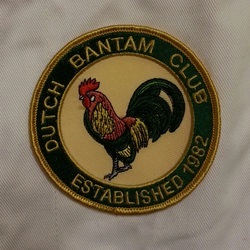 Design Two: Yellow Dutch cockerel & Silver Dutch cockerel. 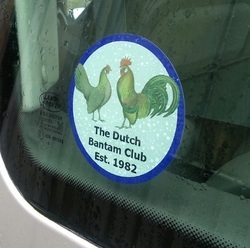 Dutch Bantam Club car window sticker. Made with cling vinyl, so easy to place on glass.